On Thursday, 11/13 at 4 PM, I'll be appearing on the "Noir Comes in Many Flavors" panel in Regency C alongside Jon Bassoff, Steph Cha, Robert Lewis, Fuminori Nakamura, and Chantelle Aimee Osman (m). It promises to be a terrific conversation. 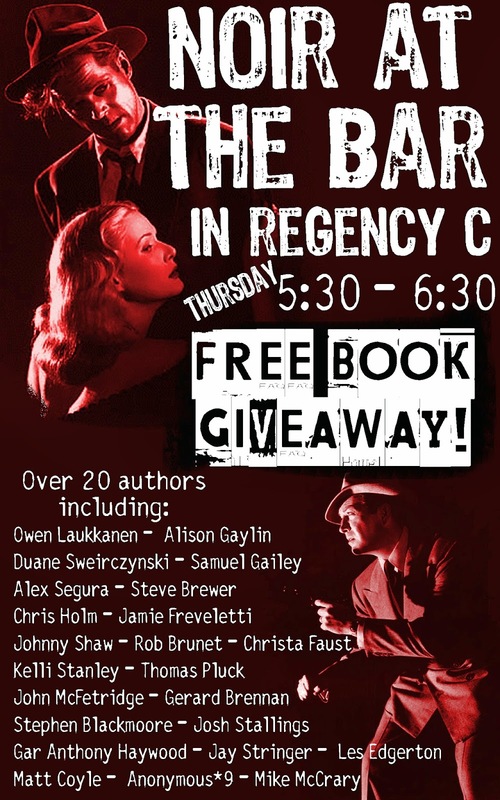 Then, at 5:30PM Thursday, also in Regency C, I'll be reading as part of Noir at the Bar. More than twenty authors will be participating, and each of us is bringing a book to give away, so be sure to swing by. My contribution will be a signed copy of THE BIG REAP, which is up for an Anthony this year in the category of Best Paperback Original (hint hint please vote for me). I expect I'll spend some portion of Saturday (11/15) morning loitering around the Little, Brown/Mulholland table, if only to score some of the advertised books, coffee, and pastries (but not, it should be noted, any of the authors; publishers get tetchy when you abscond with those). It runs from 7AM to 12:30PM, but if I were a betting man, I'd say 7AM is a tad early to expect me. Finally, on Saturday night from 6:30PM to 8PM, you can catch me looking vaguely queasy at the Anthony Awards Reception. Did I mention THE BIG REAP was up for an award? I did? Well, did I mention my insanely talented fellow nominees are Catriona McPherson, Alex Marwood, Stephen King, and Darrell James? Lists like that are why folks always (quite rightly) say it's an honor to be nominated. But if you're attending B'con and you're inclined to vote for me, I sure won't try to dissuade you. *Please don't actually stalk me. **Restrooms excluded. Lurking in my hotel room strongly discouraged, unless you bring pie. "Noir Comes in Many Flavors"
Tons of authors, me included, will be reading and giving away free books! Oh, and I should mention THE BIG REAP is up for an Anthony Award in the category of Best Paperback Original, so if you're attending B'con this year and dug the book, I'd love your vote! 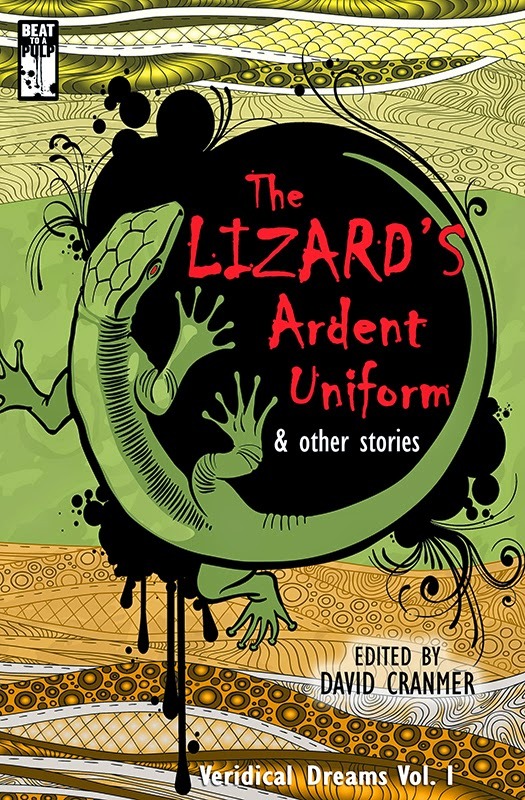 I've written a bit about the Beat to a Pulp anthology THE LIZARD'S ARDENT UNIFORM, and what it means to editor David Cranmer. It's a unique project that honors his nephew Kyle's memory, and I'm honored to have contributed to it. Today, my story from it, "The Lizard's Ardent Uniform," is free to read online at The Fall Creek Review! Pop by and check it out. And if you dig it, don't hesitate to pick up the whole collection. It's chock-a-block with terrific writers at the top of their games. Rough day back after the long weekend? Here's some online fiction for your work-weary eyeballs. "An Open Door" first appeared in the BEAT TO A PULP: ROUND TWO anthology way back in May of 2012. It's a (horror) sequel (of sorts) to my Spinetingler-Award-winning crime story "Seven Days of Rain." 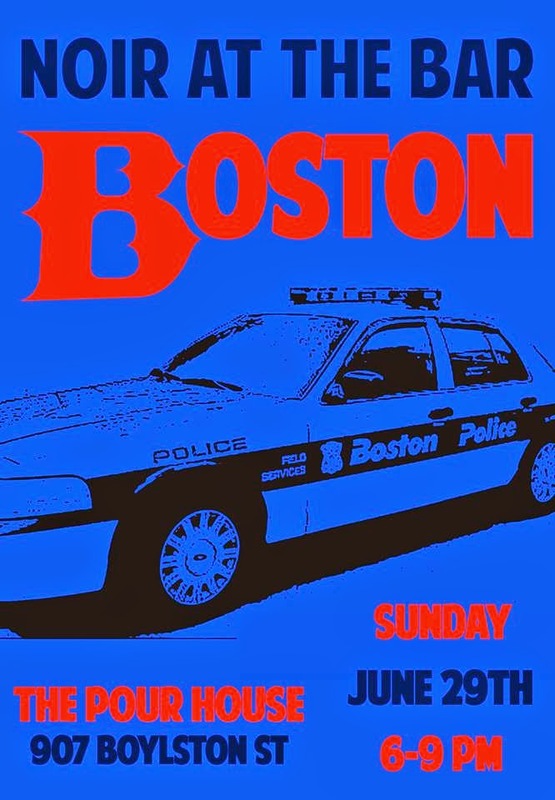 As of ten minutes ago, it's free to read at Beat to a Pulp. Pop on over and check it out! 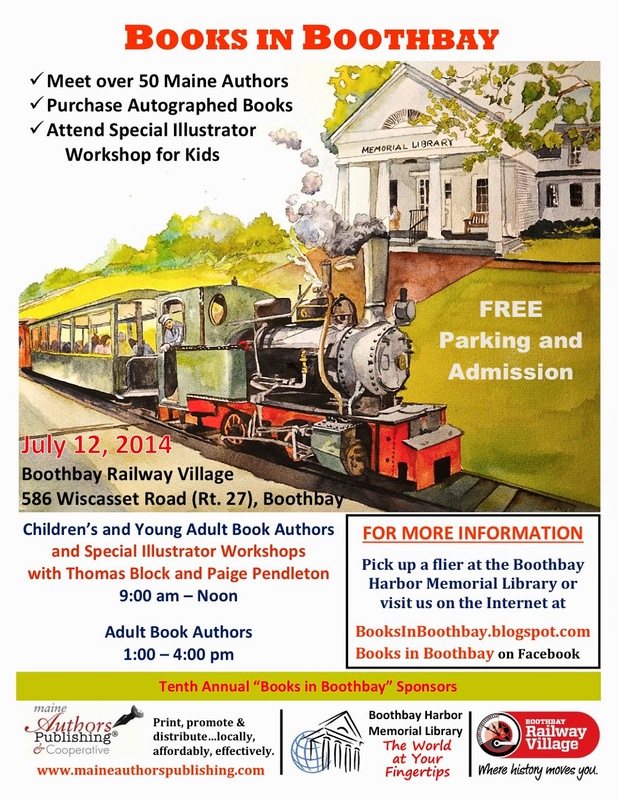 This Saturday, July 12, I'm delighted to be participating in the tenth annual installment of Books in Boothbay, a book fair featuring Maine authors of all stripes, from children's to thriller. It's free and open to the public, so if you're in the area, swing by and say hello! I'll be hanging out and signing books alongside Tess Gerritsen, Paul Doiron, Kate Flora, Julia Spencer-Fleming, Barbara Ross, and many more. 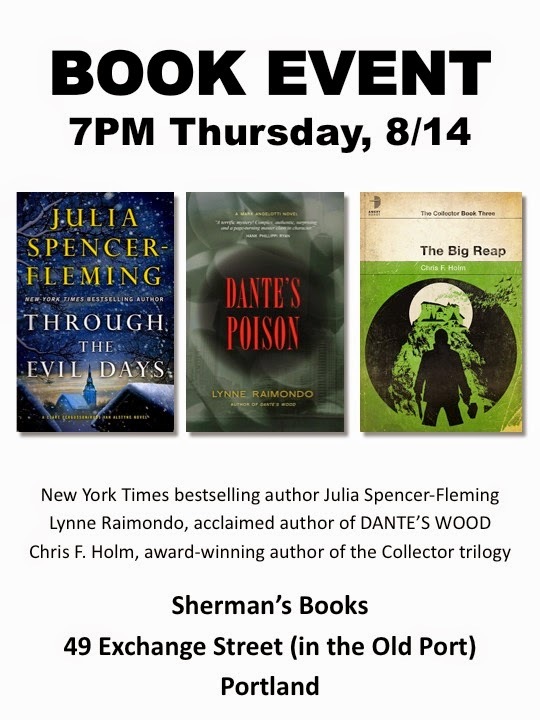 See the above flier or visit the Books in Boothbay blog for details. Some of you may not know this about me, but by day, I am a scientist. No, really. I wear a lab coat and safety glasses and do calculations and stuff, occasionally all at the same time. Take my word for it: it's very impressive. Years ago, when e-readers first transitioned from the early-adopter fringes to the mainstream and debate in the book-world turned to the artistic and commercial viability of self-publishing, I had no idea where I stood on the topic. So, ever the science-nerd, I decided to conduct an experiment. At the time, I had a number of short story credits to my name, and many of those shorts were out of print. I decided to bundle eight of them into a collection and put it out dirt-cheap, just to see what happened. That collection was 8 POUNDS. I was fortunate. 8 POUNDS was well-received. It got some great reviews from critics and readers both, and was even nominated for a Spinetingler Award. And while I didn't get rich off of it, it sold well, too. 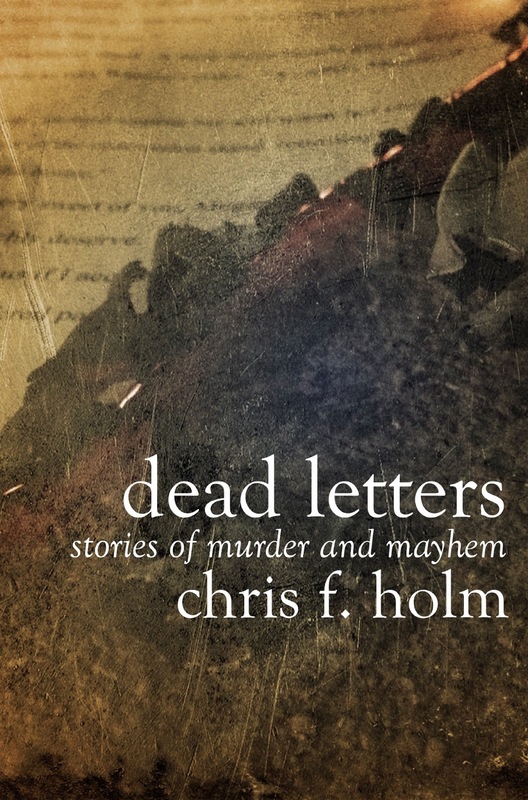 So a few years later, when I'd amassed a set of new short stories, I put out a second collection, this one called DEAD LETTERS. Folks seemed to like DEAD LETTERS, too. 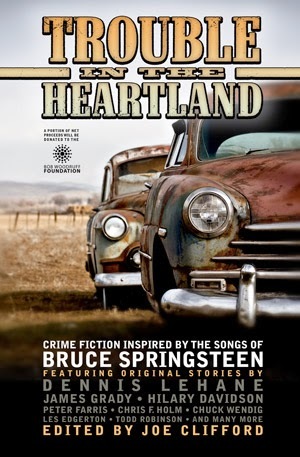 In fact, it won The House of Crime and Mystery's Reader's Choice Award for Best Short Fiction Collection. It sold a little less than its predecessor, in part no doubt because it cost more (it was longer and contained a previously unreleased tale, so the price seemed warranted to me), and in part because e-publishing had exploded in the years since 8 POUNDS was released, so it had a lot more competition. Still, between the two collections, I'd count my experiment a success. I never intended, when I released these books, to put them out solely for Kindle. At the time I published 8 POUNDS, iBooks wasn't a thing, and Nook's upload interface was too buggy for this technological idiot to wrangle. And when I put out DEAD LETTERS, it seemed easiest to simply stick with what I knew. Credit where credit's due: a few formatting hiccups aside, Amazon really does make it easy to put out e-books, and the fact is they sell way more of them than does their competition. Lately, though, I've been thinking a lot about the ramifications (whether intended or not) of publishing my short story collections with Amazon and Amazon alone, and what it means now that I'm an author with a few books under my belt and more coming (the latter from a subsidiary of Hachette, no less.) I've come to the conclusion that providing what amounts to preferential treatment to Amazon is disrespectful to the other vendors who peddle my traditionally published wares, be they big box booksellers or scrappy indies, as well as to readers who choose not to do business with Amazon. Understand, this isn't me taking a stand against The Evil Empire Amazon. Like most people these days, I buy stuff from Amazon. I've also profited from others doing the same, and hope to continue to in the future. But when I pondered reformatting my aging e-books such that I could sell them elsewhere, it just didn't seem worth the effort. The internet is a Great Content Machine after all; without adding anything new to them or sprucing them up a bit, they'd likely be lost to the noise, and rightly so. I don't want to insult my audience by half-assing a wide release. Perhaps these collections will surface again sometime, in one form or another: updated, reformatted, and bursting with bonus materials. Perhaps not. But in the meantime, if you'd like a copy of either, drop me a line at chris[at]chrisfholm[dot]com, and I'll send you a PDF copy, free of charge. Consider it an experiment in marketing. EDIT (5/24/2015): All good things must end. 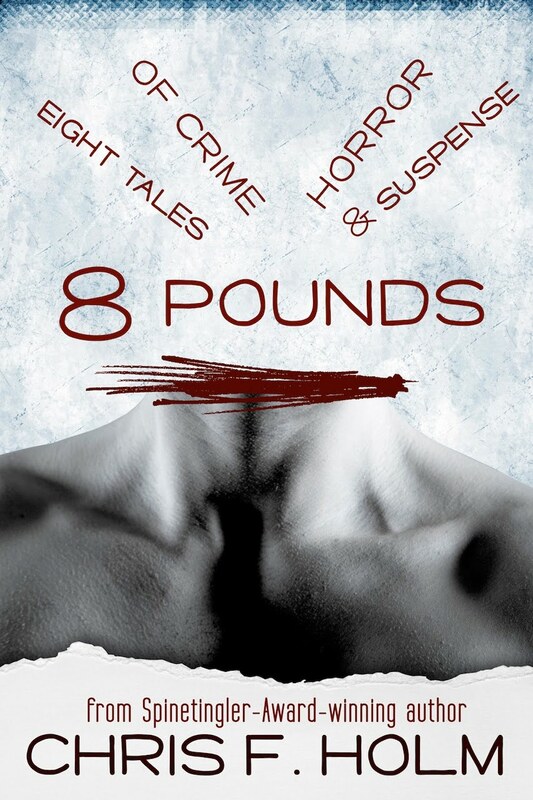 After a year of sending copies of 8 POUNDS and DEAD LETTERS to anyone who asked, so too must my e-book giveaway. If you're interested in the short stories featured in these collections, stay tuned. I'm sure they'll resurface in one form or another. I'm honored, delighted, and not just a little stunned to report THE BIG REAP has been nominated for an Anthony Award in the category of Best Paperback Original Novel. Many thanks to all who nominated it, and congratulations to my fellow nominees! Dave Kearney of the podcast Scenes and Sequels was kind enough to have me by for his fifth episode, in which we chat about technique, influences, and my post-Collector writing life. You can listen to our conversation at the Scenes and Sequels site, iTunes, or Stitcher. On Saturday, April 19, two of my favorite things on this planet will intersect: talking crime fic with crazy talented authors, and my adopted hometown of Portland, Maine. 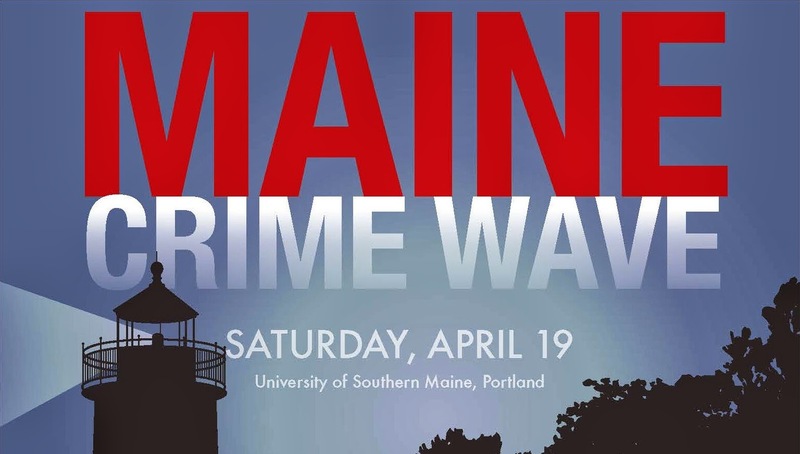 The first annual Maine Crime Wave features appearances by Julia Spencer-Fleming, Paul Doiron, Tess Gerritsen, me, and many more! Fans and writers both will find a lot to love in this event, because there are panels and workshops galore. The full schedule can be found here. And if you'd like to read some early coverage courtesy of the Morning Sentinel, I've got you covered there, too. Obviously, if you live in Southern Maine, this event's a can't miss. But for those of you from farther-flung locales who're on the fence about making the trip, let me say this: Portland is home to some of the best food and drink you'll ever find, and our working waterfront's a sight to see. The fact that you'd also get to hang with some luminaries of the crime-fic world makes this event too good to pass up. I hope to see you there! I'll also be co-hosting a table at the awards banquet Saturday evening with my good friend Sara J. Henry, so if you plan on attending, we'd love to have you at our table. We'll hang out, eat some tasty food, and send you on your way with snazzy freebies. And I'm always happy to grab a drink at the bar***, or chat pretty much wherever****, so if you see me and feel like saying hello, please feel free. *To escape the frozen hellscape that is the Northeast. And for my first trip to California. And also for the con. **Okay, fine, I'm not on this panel, but my lovely wife is, so I'll be front and center cheering her on. ***Although I reserve the right for said drink to be nonalcoholic/heavily caffeinated, depending on time, mood, and level of jet-lag/sleep deprivation. I'm thrilled to report my short story "Pretty Little Things," which appeared in the July 2013 issue of Ellery Queen's Mystery Magazine, is a finalist for a 2014 Derringer Award! The story was inspired by a phone call my wife and I received one Saturday morning a few years back; you can read about it here. Thanks to this year's judges for choosing my story, as well as ace editor Janet Hutchings for publishing it in the first place. And congrats to my fellow nominees! Oh, and if any of y'all reading this are members of the Short Mystery Fiction Society, I'd love to have your vote.